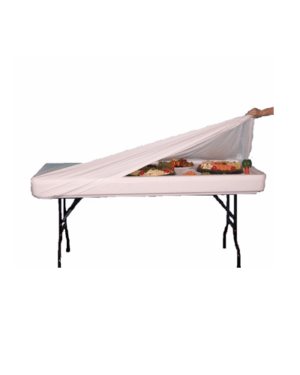 Disposable, one-time use plastic cover for your Little Chiller™ Table. It is designed to protect food and beverages until you are ready to serve. Simply fill table with contents and place the kwik cover on top. Elastic bottom securely holds kwik cover in place. Packaged individually.